Sharisse "Shar" Jackson is an American television and film actress, reality television personality and rapper/singer best known for her portrayal of Niecy Jackson on the UPN show Moesha. Born in Boston, Jackson's mother is African American and Native American descent, and her father is of Puerto Rican and Mexican descent. Jackson had a large role in the television show, Moesha where she played Moesha's best friend, Niecy Jackson. She has also appeared in The Bernie Mac Show. 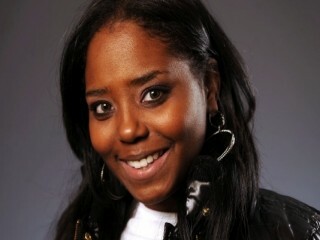 She co-starred in the Nickelodeon movie Good Burger, with Kel Mitchell and Kenan Thompson. Jackson was also featured on the ABC reality series The Ex-Wives Club with Marla Maples and Angie Everhart. The show aimed to aid men and women who have recently gone through separation or divorce. In 2009 Jackson appeared in the film I Do... I Did!. She also appeared in the dance film Steppin: The Movie. Jackson was a singer in the pop group "Mpulz" and was included on The Princess Diaries soundtrack. The group released one album before disbanding. She won first place on the MTV reality show Celebrity Rap Superstar on October 18, 2007, beating runner-up Kendra Wilkinson. She also appeared on the seventh season of Celebrity Fit Club: Boot Camp, which premiered in February 2010. Jackson has two children with her former high school boyfriend; son, Donnie, born in 1993 and daughter, Cassie, born in 1995. She was in a relationship with dancer Kevin Federline, who later married and divorced pop singer Britney Spears. She has two children with Federline a daughter, Kori, born July 31, 2002, and a son, Kaleb, born July 20, 2004. View the full website biography of Shar Jackson.